With Christmas approaching quickly and everyone looking for ways to make some fast cash, now would be a great time to dig out your old mobile phones. If you can dig out 4 or more phones or your friends have some, send them all into Envirofone and you will get a free courier collection. With Royal Mail planning a possible November or even Christmas postal strike what better way to beat it than sending your old handsets in via a free courier. Simply follow the normal procedure for selling your phone and if you are sending 4 or more phones you will be given the option to request a courier collection. An Envirofone customer service agent will then contact you to arrange a date and time, its as easy as that! 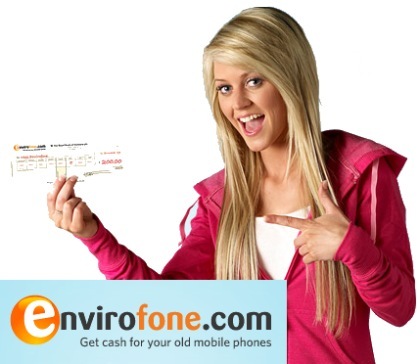 Envirofone are one of the UK’s leading mobile recycling sites having paid out over £20 million to their customers. I am looking for used as-is Motorola CD920/930/928/938 handsets or their mainboards – 10000 pcs. Can you collect any quantity for me? What is the price? General Director of TechCentre TeleCom Ltd.